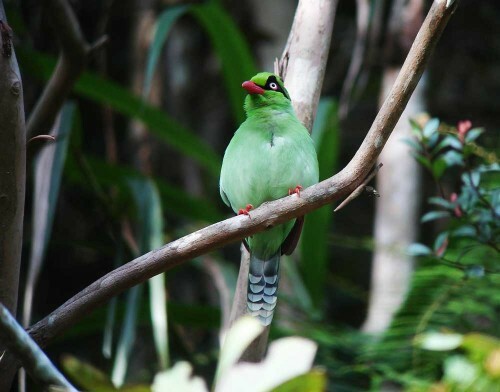 Up to Mt Kinabalu again where you can definitely hear the loud whistles and chatters of the Short-tailed Green Magpie Cissa thalassina. 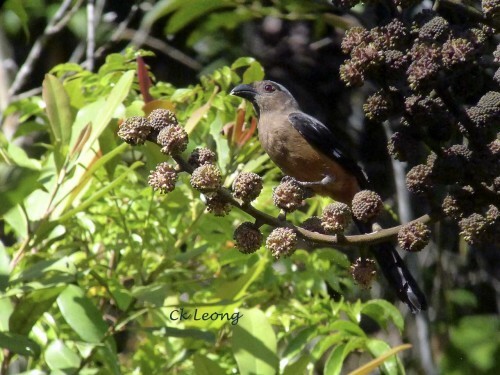 This bird is usually found on the lower half of the montane forest in the company of a small flock of the same species or amongst a mixed flock of laughing thrushes, drongos and treepies. If you haven’t seen this bird before, listen to the loudest call or look for the maroon of the wings when the bird is in flight.